As ‘gray divorce’ has become more and more common for Baby Boomers, Social Security has become increasingly relevant. While Social Security can present a confusing array of choices for most retirees, the landscape becomes even more complex for divorcees. And it’s not just an issue for people who are eligible for Social Security benefits today. When it comes to divorce, some of the decisions you make today might impact your Social Security benefits down the road. While knowing this might not change what actions you take, it is important to understand the effects that your divorce might have on your Social Security benefits. Here are 7 things you might want to know about Social Security after a divorce. You might be eligible for Social Security benefits based upon your ex-spouse’s earnings record. Your Social Security benefits are less than what you would receive based upon your ex-spouse’s record. To illustrate the last point-You might be eligible for Social Security benefits based upon your own earnings record. If so, the Social Security Administration will pay benefits based upon the greater of EITHER your own benefits, or your ex-spouse’s. You will always be entitled to the greater of the two, but not both at the same time. Keep this in mind, as benefits might change over time. For example, you might file for benefits on your own record, but might be eligible for a widow’s benefit when your ex-spouse passes. If that occurs, you might be eligible to apply for the higher benefit. However, you would still only be eligible to receive one benefit (the highest possible one) at any single time. You don’t need your ex-spouse’s permission to file for Social Security benefits. When applying for Social Security benefits based upon your ex-spouse’s earnings record, the Social Security Administration will ask you to fill out Form SSA-2. You may do this online, over the phone, or by visiting your local Social Security office. Clauses in divorce decrees in which a woman relinquishes her right to Social Security benefits on her ex-spouse’s record are never enforced. Benefits paid to a divorced spouse have ZERO impact on the payments made to her ex or her ex’s current spouse. In other words, don’t delay applying for benefits just because you aren’t in touch with your ex, or because you don’t want to talk with them. What your ex does has zero impact your ability to claim on their record.You don’t need to wait until your ex-spouse files for Social Security benefits to file for your own. Your benefit as a divorced spouse is equal to one-half of your ex-spouse’s full retirement amount (or disability benefit), if you start receiving benefits at your own retirement age. This is the case regardless of when your ex applies for his or her own Social Security benefit. You don’t need to wait until your ex files for Social Security to file for your own benefits against their record. Assuming you qualify, you can apply for benefits based upon your ex’s work record, even if they’re still working. The stipulation is that you both must be at least 62 and divorced for at least 2 years before you apply. It can pay to wait…to a certain extent. Social Security benefits can fluctuate based upon what age you are when you apply for them. Generally speaking, the longer you wait before you claim benefits, the higher your monthly payment will be. Conversely, the earlier you apply for benefits, the lower your monthly payment will be. In order to understand how this impacts your spousal benefits, let’s first understand how this concept works for the worker’s (presumably your ex’s) benefits. Social Security retirement benefits are paid as a percentage of a worker’s primary insurance amount, or PIA. The PIA is the amount the worker is entitled to when they reach full retirement age (FRA). Depending on when you were born, your FRA will range from age 65 to 67. The Social Security Administration has a chart that outlines FRA based upon the year of your birth. If a worker claims benefits at FRA, they will receive 100% of their PIA. If a worker delays taking Social Security, they accumulate delayed retirement credits at a rate of 8% per year, up until age 70. Conversely, for each year a worker takes benefits before FRA, their monthly payment is reduced by 8%. At your current earnings rate, if you continue working until…. As you can see in the above example, the difference in benefits between ages 62 and 70 are huge! The monthly benefits at age 70 are about 80% higher than the benefits at age 62. While you might receive fewer payments over the course of your lifetime, there is a point at which you’ll receive more money over the course of your lifetime by waiting until age 70. Usually, that ‘break-even’ point is around age 77 or 78. If you expect to live longer than that, you’ll usually be better off by waiting to collect benefits. However, there is no benefit to waiting past age 70—delayed retirement credits do not accumulate past that point. This applies to spousal benefits too, with one key exception: you cannot accumulate delayed retirement credits for spousal benefits. This changes the dynamic a little bit. While it still hurts you (in the long run) to claim early benefits, it does you no good to wait past age 66 to claim spousal benefits. Many people make the mistake of assuming that waiting until age 70 will give them a bigger benefit. It does, if you’re claiming on your own record, but not on your ex-spouse’s. Keep this in mind, so you don’t lose out on those four years of benefits. Additionally, if you claim early benefits and are still working, your benefits might be reduced, depending on how much you earn. The Social Security Administration applies an earnings test to determine how much your benefits are reduced. However, this doesn’t apply to people who have reached FRA. Yet another reason to wait. If you’re not the only ex-spouse, you can still collect benefits. It doesn’t matter how many ex-spouses there are. Social Security benefits can be paid to each person who qualifies on their ex’s record. If Elizabeth Taylor were alive today, each of her 7 husbands could have applied for Social Security benefits based upon her earnings record. However, only one (Richard Burton) actually met the criteria of having been married to her for at least 10 years. If you get remarried, the picture changes. 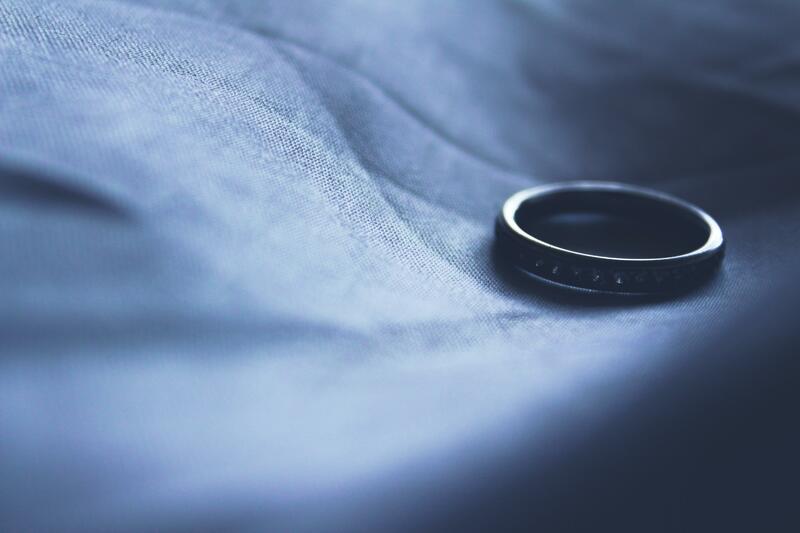 If your ex remarries, your ability to claim benefits on his record doesn’t change. However, if you remarry, things change. When you remarry, you lose the ability to claim benefits on your ex’s record, since you have a new spouse. If you get re-divorced, you might have even more options. Hopefully, the second marriage ends up better than the first. However, if you get divorced, you might be able to claim benefits on either ex-spouse’s record, or your own, whichever is better. This assumes that in each case, you meet the criteria, specifically the 10-year marriage requirement, and having been divorced for at least 2 years. Most people understand that divorce can be a taxing experience. Virtually everyone understands that Social Security is a complicated program, where it’s easy to make costly mistakes. When it comes to navigating Social Security as a divorcee, it can be even more frustrating and challenging. However, you owe it to yourself to ensure you’re on the best financial footing as you prepare for the next stage of your life. Making sure you and your soon-to-be ex-spouse are on the same page is the best way to do just that.